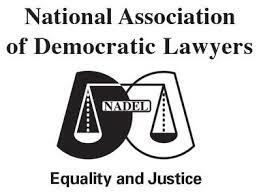 The National Association of Democratic Lawyers, (“NADEL”), held its 32nd Annual General Meeting and Policy Conference starting from the 14th and concluded on the 17th March 2019. The conference proceedings were held at the Emperor’s Palace in Johannesburg, under the theme “Poverty, Inequalities and Corruption Symptoms of a State in Gradual Collapse”. The conference was attended by more than 300 (three hundred) delegates drawn from the ranks of attorneys, advocates, magistrates, Deans of law, representatives of law students from all Universities. The conference was the coming together of all progressive lawyers in the legal fraternity. Constitutional Review and the need for limitations and expansion of certain powers and terms of office set out in the Constitution. Reference, appointment of Judges- Constitutional Court.